The Sixties is a stimulating account of a turbulent age in America. 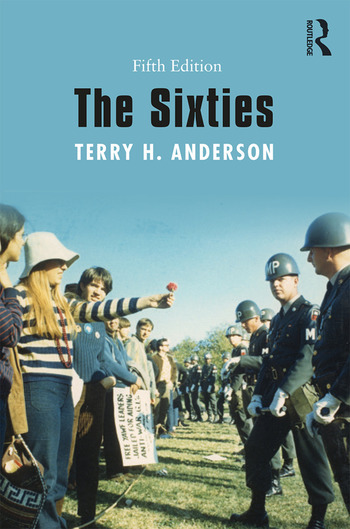 Terry Anderson examines why the nation experienced a full decade of tumult and change, and he explores why most Americans felt social, political and cultural changes were not only necessary but mandatory in the 1960s. The book examines the dramatic era chronologically and thematically and demonstrates that what made the era so unique were the various social "movements" that eventually merged with the counterculture to form a "sixties culture," the legacies of which are still felt today. The new edition has added more material on women and the GLBTQ community, as well as on Hispanic or Latino/a community, the fastest-growing minority in the United States. Terry H. Anderson is Professor and Cornerstone Faculty Fellow of History at Texas A&M University. A Vietnam veteran, his previous books include Bush’s Wars (2011) and The Pursuit of Fairness: A History of Affirmative Action (2005).